decorating my porch sort of gives me fits. I'm not sure what it is that does it. whatever it is, I never am satisfied with the outcome. Here are some inspiration photos from Pinterest that I love. I'll take the house that goes with this front porch!!! 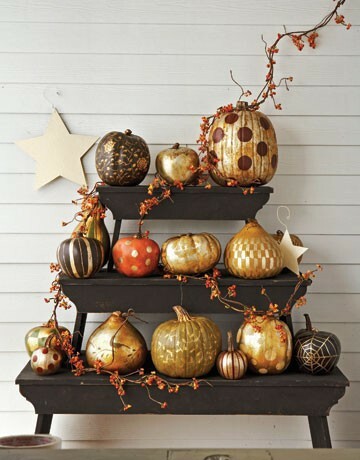 I like this too, but I'd do "natural pumpkins" not metallic. 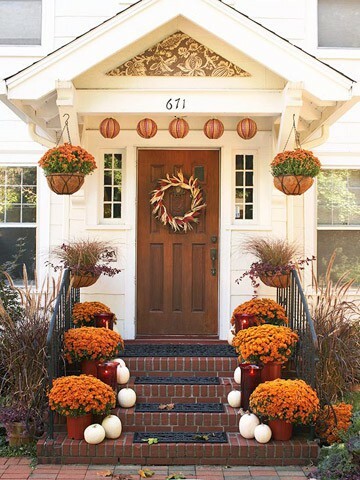 NEEDS MORE PUMPKINS AND MUMS! WHERE'S THE LINE BETWEEN TASTEFUL AND TOO MUCH? Click here to see more of my "porch-in-progress". 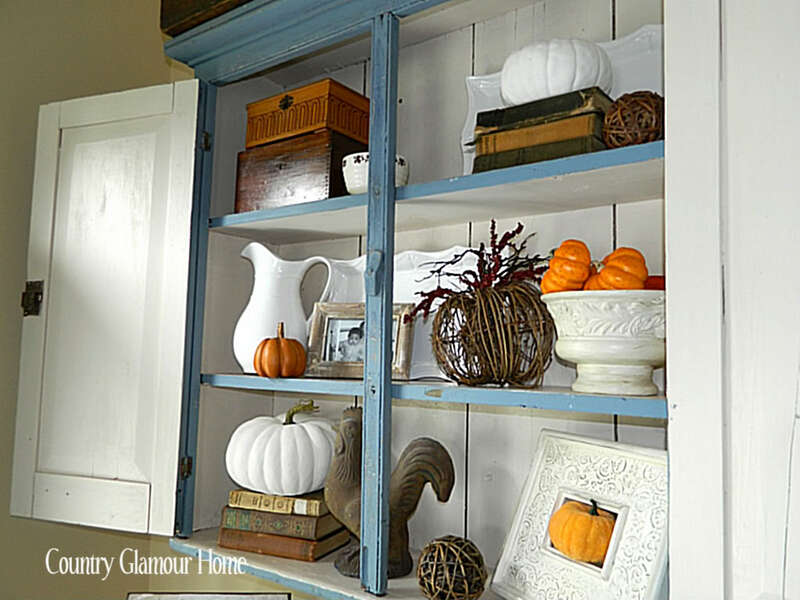 decorating for Fall doesn't have to include orange pumpkins. 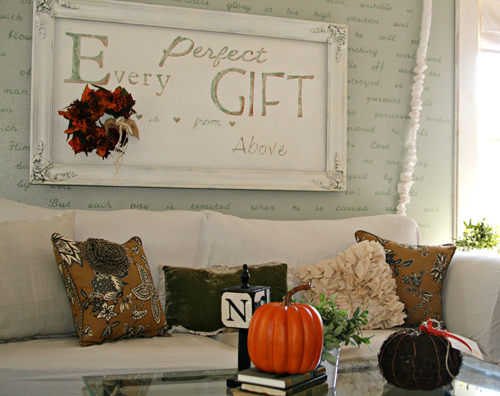 shows us her wonderful Living Room with a Scripture wall. love her use of black and neutrals for Fall Decor. with her fab take-off on the Country Living pumpkins!! within your post or a button picture with a link on the sidebar. this party anywhere on the blog! I'm having a terrible time leaving comments. Hi Debra, I love the pinterest photos...really great inspiration. 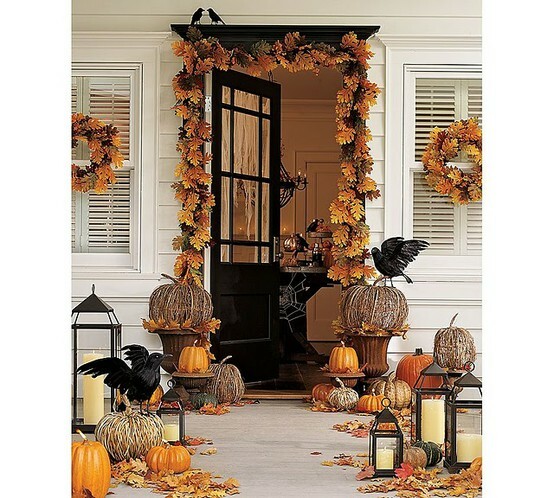 I want to decorate our front porch but the weather is still too warm in Florida...hopefully in another week or so. Debra, great inspiration. I wish I had a big porch and steps, but I don't. Yours looks great. At least you do have steps. Okay, I have to admit that I have never really done much for Fall decor on my porch (other than a door mat with leaves on it!) 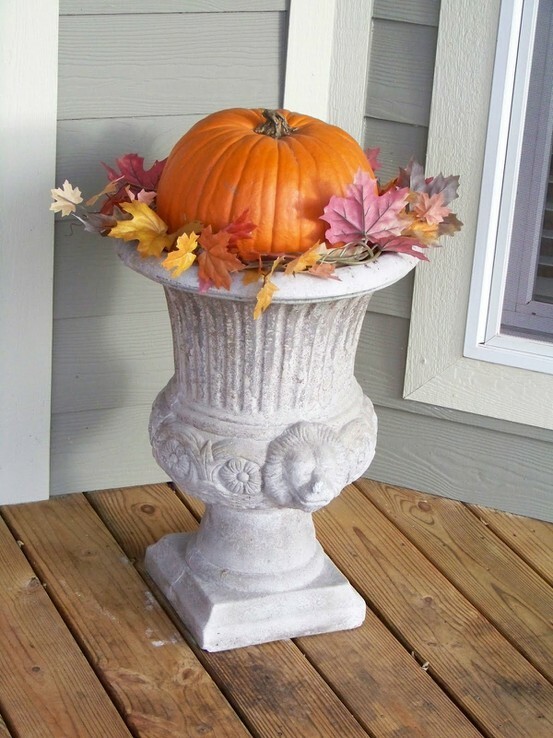 However, I am feeling so inspired by the beautiful photos you've shared and by your own porch decor! My MIL has cornstalks in her garden as well as pumpkins that she is growing for us (more so the grandsons, I guess). I am totally going to take full advantage of the free decorations this year, experiment, get crafty and have fun! Can't wait! Thanks for the motivation! And thank you for hosting! Those are definitely inspiring porches! All beautiful and welcoming. And yours looks wonderful too! I'm excited to join to party! Thanks so much for hosting!! Your porch is lovely! Thanks for hosting the party! Hugs and love to you, dear. Gorgeous pictures!! I love the fall leaves surrounding the door. 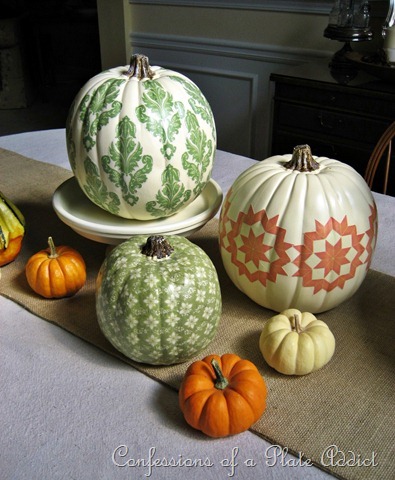 I also love those toile pumpkins, how cute! Thanks for having us and linking it up with HSH! Thanks for hosting and sharing all the fall eye candy! I love your inspiration porches, but I think your looks just as nice. Debra! Oh my goodness, what fabulous features. 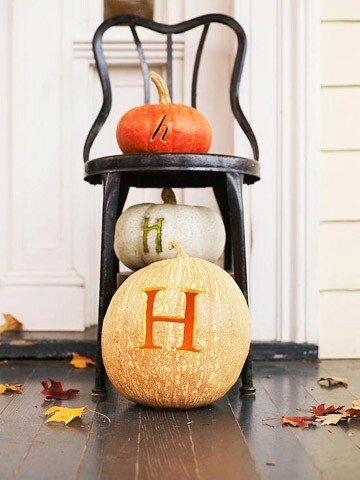 Those stenciled pumpkins just beautiful! Can't wait to see all that you do with your porch, I know anything you create will be beautiful! Thanks for hosting! Debra, I think your front area is looking great!! You have a nice little porch which is something that I wish I had a little more of- mine is more a stoop! Thanks for the party- I put your button on my side bar . I was trying to put your Design Challenge one on too but for some reason that one just shows up blank when I add it. Could be something with my puter and will work on it some more. Debra, thanks so much for your kind comments about my feed sack runner!! I can't wait to make some more. Thanks for inviting me to link up too!! Debra, you found great porch photos from Pinterest. Lot of inspiration here. 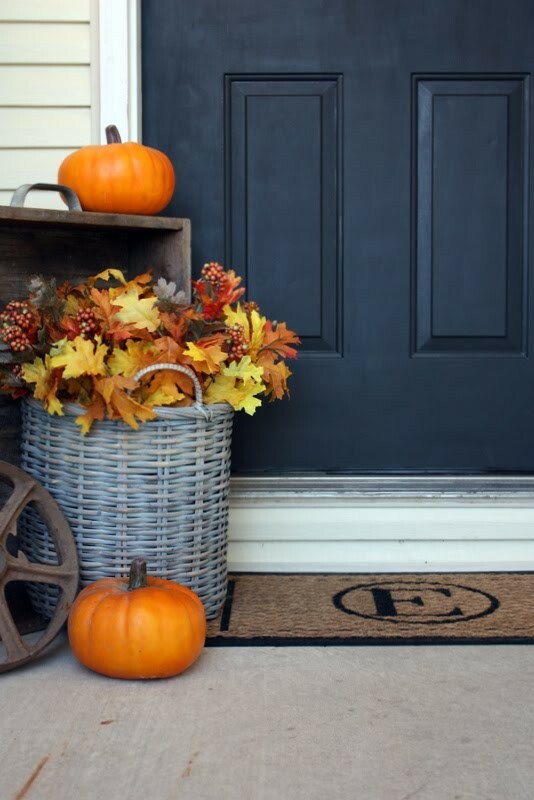 Your porch is off to a great Fall look. I love white pumpkins. Its so hot here I haven't done a thing to the porch out front, waiting for cooler temps. Thanks for hosting. Such gorgeous inspirations Debra!! I just love so many of these!! Pinning a couple! Thanks for hosting! I have featured some pinned photos of Fall on my Christmas blog. Isn't Pinterest great! I would be so honoured if you would be able to come back and link up your post to my weekly Pinning & Singing Pinterest Party this weekend! It will be up by tonight my time and the morning US time! Thanks for having me at your party. 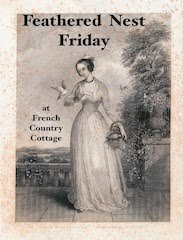 I linked up my Antiques Week post. Thanks so much for being a gracious hostess! 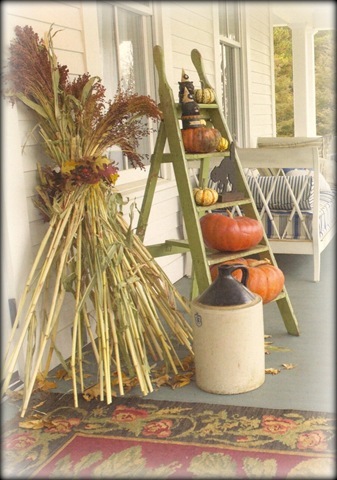 All of the fall decorated porches are pretty, yours is looking good too! Thanks for hosting. Debra, your inspiration pictures are stunning, it would take a pretty penny to make them that lush, though. I like the twig pumpkins mixed in, and all the houses are awesome. Your porch is looking great, as usual, like all that you do! It is still so hot in Texas, I think we will celebrate summer never ending! Thanks so much for hosting and also thanks for all the porch ideas!!! these autumn porches look so happy, it makes me want a nice cup of warm apple cider and a homemade fluffy doughnut to sit back to enjoy them all! Thank you for the inspirational porch ideas and thank you so much for hosting. Hope you have a fabulous weekend! Love seeing all the beautiful porches decorated for fall! Thanks for hosting! I actually linked up before realizing you asked for porch decor...feel free to delete #73. I can't wait to visit several of your guest! Thanks for hosting! I think your porch look wonderful! The second porch image suits me perfectly! I love, love, love the daybed, the ladder, the natural elements. It's definitely ME! And I love the features this week, Debra. Hope to see you at my place for Time Travel Thursday. 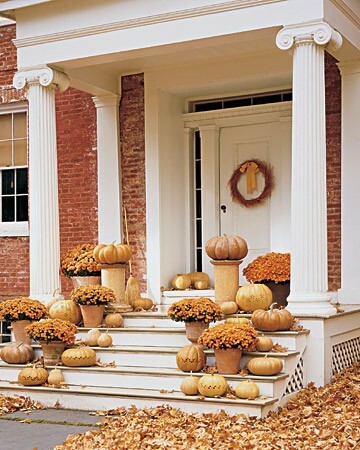 Those wide steps... you have a lot of space to cover with those beautiful pumpkins & mums! Please show us your final version and as always, thanks for hosting! i am looking forward to checking out your party goers. Just linked up and thanks for hosting. Those are great inspiration pics Deborah! Thanx for the party! Thanks for throwing the party again! 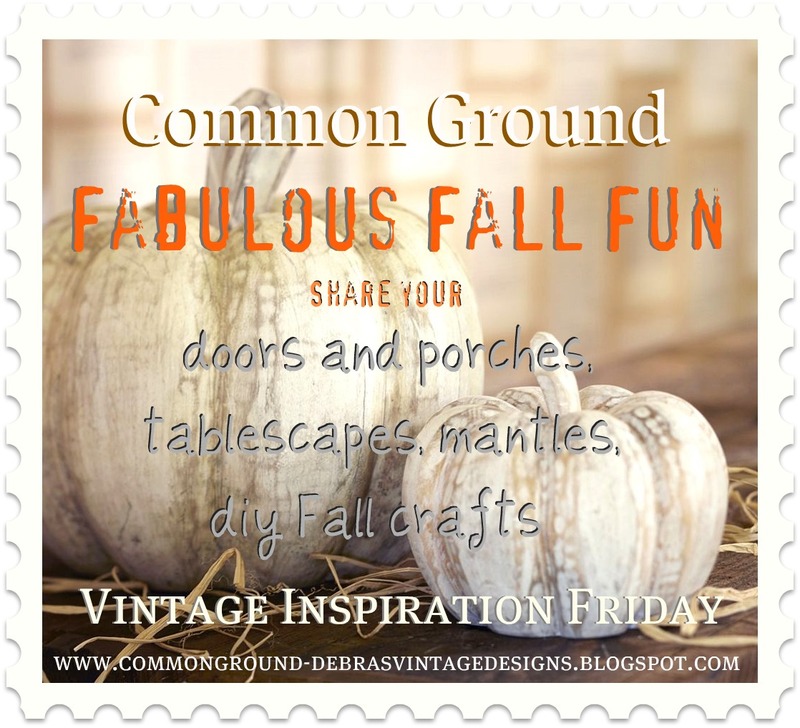 Lovely ideas for fall! Your porch looks quite wonderful as is -- certainly much better than mine so far with only a few fake sunflowers on the door! Lovely porch inspirations! I haven't started on mine yet. Well your porch is progressing FAAARRR better than mine! It's lovely! Thanks for hosting again! 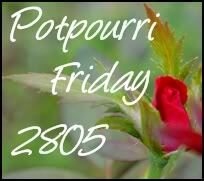 Love, love all the porches in the post. Nothing at all wrong with your front porch!!! Looking forward to more. Thanks for hostessing - I've got your button and now I'm ready to go visiting! I started following your blog, I love it. I like something about every porch shown. Each one is special and great ideas. Love yours and look forward to seeing more. Wow love the fall porch inspiration! Makes me want to get out there. OMGosh I am having that same comment issue with the cookies! Hate it! I am wondering if it's something to do with Internet Explorer an the linky tool??? I did however switch my browser over to firefox instead of IE and am no longer having this issue. Is this link up for fall only? 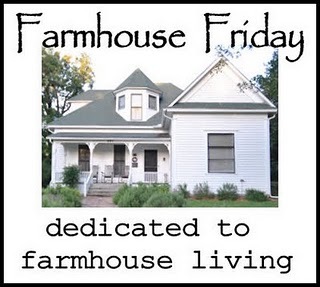 I love all the pictures of great porches that you have shared with us!! Your porch looks beautiful and it is very tastefully done!! I love the new Welcome sign!! very pretty!! 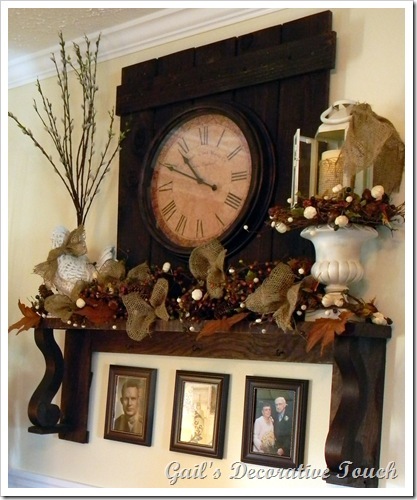 WOW Debra I was thrilled to see that you had featured my mantel shelf...thank you! Your porch looks great and so does all your inspiration pics. 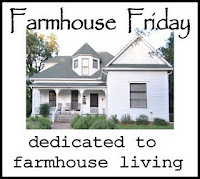 I'll be working on my front porch and screened-in porch this weekend. You've given me some ideas. Oops, I accidentally got two links. I'm so sorry. Can you tell my brain is running on fumes?! 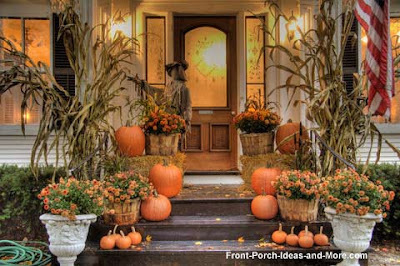 =) Can't wait to see what the final outcome is on your porch. 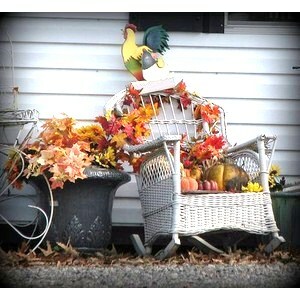 I think more is better when it comes to the Fall colors and porch decor. ... Whoa! What a lot of gorgeous inspiration you've given us this week. In fact, I saw something in one of those pictures that is something I can do here .... I'll be back next week and hope I've been successful! As to the line for "too much?" there is none! 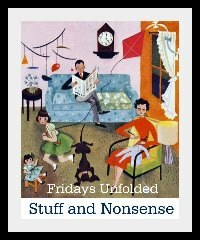 When it's a fun holiday, or a riotous season like Fall, it's no holds barred. At least that's my theory. Decorate till you drop! 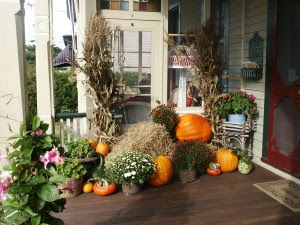 Thanks for all the wonderful inspiration photos & for sharing your lovely porch. 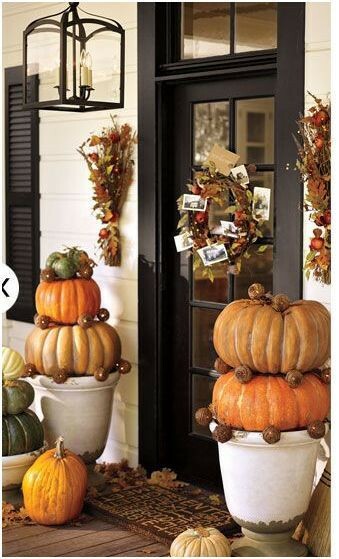 I'm very inspired, now if we could just get a bit of a cool-down, I could actually decorate my front entry! Thank you for hosting!